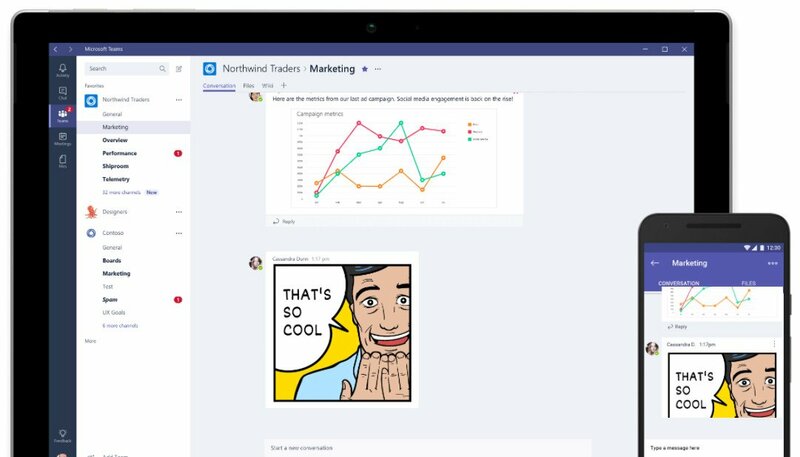 Teams is Microsoft’s latest corporate collaboration tool, and it’s designed to help companies share, communicate and, of course, collaborate, more effectively. Microsoft Teams is part of the Office 365 suite, so it’s available to all Office 365 customers. It integrates with many other popular utilities, such as Trello, ZenDesk and HootSuite. And a focus on security means the tool is suited for use in a variety of different enterprise settings, as well as other environments where security is of the essence.